Michelle Zauner, known to most as Japanese Breakfast, is no stranger to romantic failure. We all are. That much is evident by the horde of love songs, both good and bad, consuming the industry. Humanity can never seem to get enough of itself and its perpetual lust for everlasting connection. For the record, I find the vast majority of love songs irrelevant, treading over regurgitated ideas with a personal touch that only the artist themselves cares about. To the masses it's rudimentary melodrama, to them it's life-changing. Maybe that's my cynicism showing, but I rarely invest in someone else's issues when the problems are near universal. To then I look beyond, searching for the creative spark that sets one artist's yearning from another. 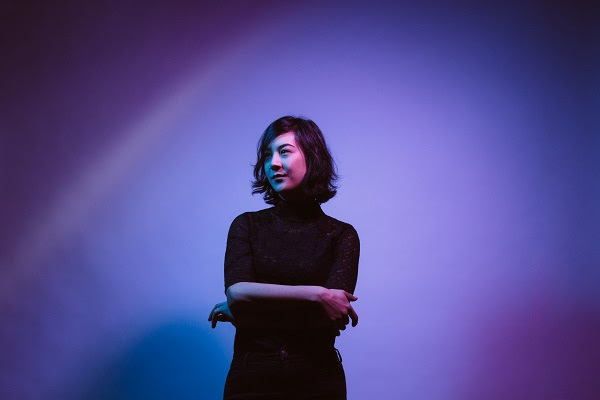 That's where Japanese Breakfast thrives, providing tactful emotional resonance through various sub-genres of Indie. Last year's Psychopomp presented a new character, one who's as varied and fickle as our inert feelings. Michelle Zauner leapt with joy on 'Everybody Wants To Love You,' endured the inconsistencies on 'Rugged Country,' and reflected critically on 'Triple 7.' With Soft Sounds From Another Planet, she achieves the same goals, albeit while making a slightly less notable mark. The success of Japanese Breakfast amongst the sea of Singer/Songwriter's who grasp for attention, I feel, can be attributed to Zauner's ears and eyes for the aesthetically pleasing. Her lead singles for each project, 'Everybody Wants To Love You' and 'Machinist,' drastically different from not only each other, but the albums they represent. Said albums both featuring vividly satisfying covers of different origin. And with music videos containing nightmarish creatures, robotic entities, and a drunken Zauner stumbling around NYC, Japanese Breakfast's appeal is quite distinct. Soft Sounds established that immediately, both in its celestial foundation and 'Machinist's' off-kilter Synthpop. The single, confounding many for its kitschy embodiment of 80's chic, asserted Zauner as an artist who welcomes risk. Initially off-put by the mishandled autotune and lackadaisical spoken word elements, 'Machinist' has re-garnered some appreciation from me for the tongue-in-cheek concept of human-to-robot love, the risk-taking genre variation, and the hook that finds a modern home for Madonna's 'Vogue' era. As mentioned, it doesn't epitomize Soft Sounds, staunchly latching on as an outlier in much the same fashion as 'Everybody Wants To Love You.' The rest of the LP focuses on Zauner's knack for combing Indie Rock and Dream Pop, finding a certain unison between the two where the lines are blurred. That's evident right off the bat, with the immense 'Diving Woman,' a track that wraps itself in the rigidness of Indie Rock and the warmth of Dream Pop. 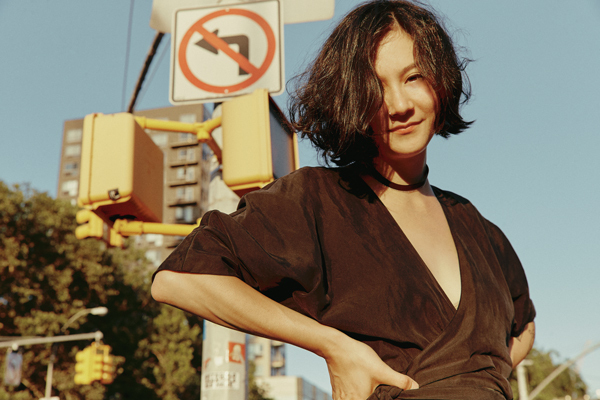 Escaping the six-minute mark, 'Diving Woman' is Japanese Breakfast's first, and only, song to exceed four measly minutes. With the unrivaled beauty found on the track's wandering back half, it's a shock Zauner hasn't attempted such ambitious works before. In an article with NPR, Zauner stated that she took inspiration from Deerhunter's 'Desire Lines' for 'Diving Woman,' and that's certainly palpable. In conjunction with the opener, 'Road Head,' a song that plays into Zauner's playful sexual deviancy, spirals sonics in succession, resulting in two tracks that play wonderfully whilst on a long stretch of highway; destination merely a mirage. In some ways, that's how Zauner sees her various relational quandaries, as speed bumps on a road to nowhere. Efforts like the lovely title track and 'The Body Is A Blade' reflect on past experiences as a way to improve oneself. Again, not all that exciting for an outsider to revel in, but Soft Sounds' varied instrumentation and skillful set pieces helps to engage when the lyrics become too gelatinous. That becomes clear on efforts like '12 Steps' and 'Till Death.' Zauner's tendency to rely on canned lyricism, like the love loss of the former or the melancholy of the latter, means a stronger focus needs to be made on the production. Both are wholly engrossing because of this, as '12 Steps,' tedious and dull to begin, blossoms into a dazzling reinterpretation of early 2000's Emo Punk, a la Sum 41, while 'Till Death' spawns an orchestral arrangement akin to a classic Disney musical. The tonal shift moments after the two-minute mark is one of Soft Sounds' high points. Along with 'Till Death,' other tracks like 'Boyish' utilize various strings and background vocals to replicate a melodramatic RomCom soundtrack. 'Boyish' in particular, with curious and direct language set to Zauner's fading self-confidence, could easily implant itself at a movie's climactic low point. The inclusion of such instrumentation, I feel, is what largely contributed to Japanese Breakfast's attempts at creating something atmospherically celestial. In this sense, Zauner still needs some work, as no moment here, including the instrumentals of 'Planetary Ambience' and 'Here Come The Tubular Bells,' feels anywhere but down on Earth. She hasn't gone out that far just yet. Much like Psychopomp, Soft Sounds is short, sweet, and entirely delectable. Now sure, it's not as compact as the former's 26 minutes, clocking in at 38 itself, but with more songs, including the highly ambitious 'Diving Woman,' Soft Sounds still breezes by without any strenuosity. In fact, many songs feel bigger than they actually are thanks to the thematic punctuation Japanese Breakfast makes. With the handful of twists and turns, 'Till Death' presents itself as a mid-album epic, despite failing to reach the three-minute mark, while 'Boyish' paces begrudgingly, still existing in that prime Pop duration range. The cinematic nature backfires at times though, as Zauner's drawling vocals overwhelm syllables so much that it becomes difficult to understand her on tracks like 'Jimmy Fallon Big!' and 'Road Head,' which becomes most irritating when the music behind her (with the former as an example) doesn't excite. Problems aside, even those recurring from the Psychopomp days, Japanese Breakfast's second LP tantalizes by infusing rudimentary songwriting with a creative edge. Zauner's in a peculiar place amongst the Indie scene for being both normal and abnormal at the same time. Soft Sounds From Another Planet exemplifies that by rooting the human into the heart while the mind pursues the extraterrestrial.